As promised, here is a recap, and my thoughts on the series finale of Breaking Bad. As usual, spoiler alert for those of you who have not seen the episode yet. I knew there was never going to be a happy ending for this show. Walter White had caused so much collateral damage to his relationships with his family and the ones he cared about with his transformation into a criminal mastermind, you knew an unhappy ending to the show was going to take place. Still, I think most viewers were left very satisfied with what they saw, all things considered. In the final episode, Walt leaves the cabin to take revenge on Jack and his entire crew, but not before handling a few personal matters. First, he sneaks into the house of his old business partners, Elliot and Gretchen Schwartz, and tricks them into getting his remaining money to his son when he turns 18 years of age. This was sweet revenge, since the Schwartz family took credit for Walt’s work early in his career, and made a fortunate off of it. Walt also demonstrates his criminal genius alter ego here, as he gets Badger and Skinny Pete to flash red laser pen lights at Elliot and Gretchen, to make them think they are being stalked by hit men. Then, Walt goes to visit Skyler in her new home. Walt says he is there to give her a proper goodbye, but he also gives her a gift. He supplies her with a paper with GPS coordinates on it, which has the location of his remaining buried money, as well as the site where Hank and his partner were buried. Skyler can now exchange this information for her freedom. Several very interesting things happen around this scene. Just prior to Walt entering the room, Skyler is on the phone with her sister, Marie, who tells her that Walt is in town, but she believes he will be caught by the authorities. She naively says, “He thinks he is some criminal mastermind.” Skyler knows better than this by now. Moments later, her amazing, criminal mastermind husband appears in front of her. 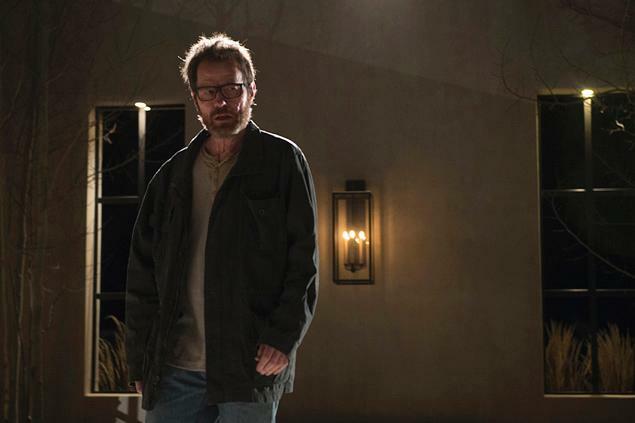 Also during Walt’s encounter with Skyler, he admits why he did everything that he did. “I did it for myself. I liked it. I was good at it. It made me feel alive.” This makes perfect sense. Walt has spent the last few months dying of cancer, and he knew that if he was going to die, he wanted the last portion of his life to be exciting and meaningful. Something he never seemed to feel up until that point of his life. In the finale scene, Walt confronts Jack and his entire crew, and kills them all by setting up a machine gun in the trunk of his car, which popped up at the press of a button on his remote control. Interestingly enough, Walt, Jesse, Todd, and Jack are still alive after all the machine gun fire. However, Walt shoots Jack, and Jesse strangles Todd. With Walt and Jesse left standing, Walt slides a gun along the floor to Jesse, and asks him to shoot him. After hesitating, Jesse tells him “If you want it, do it yourself.” At that point, we also find out that Walt poisoned Lydia with the ricin, by slipping it into her drink at the coffee shop. Jesse then drives off, and even cracks a smile, relieved that he survived, and that it’s finally over. Meanwhile, Walt takes a walk through Todd and Jack’s meth lab, and reminisces about his glorious drug empire, just before collapsing and dying from his gun shot wound, which he suffered in the shootout. The police arrive on the scene, but it’s clear that Walt is dead. Ultimately, Walt is unable to fix things with his family. His son hates him, and his wife will probably never forgive him either. Despite that, Walt triumphantly gets revenge on those who crossed him, which symbolizes the greatness of his criminal empire. In some ways, the scales of justice tipped toward the two men, Walt and Jesse, who weren’t quite as evil as Jack and his crew. Jack and his crew were men who killed people for sadistic pleasure, or even convenience. Walt and Jesse can be considered agents of justice here. Still, every character in the show is forced to live with some degree of guilt for their sins. Walt’s only consolation with his family is that he was able to keep them alive, but consistently put them in danger, and can be blamed for Hank’s death. Skyler will have to live with going along with Walt’s plan as well. Interestingly enough, Jesse was the only character from the shootout who survived, and it can be argued that he lived because he only killed people that needed to be killed for him to survive. As for Walt, his fate was inevitable. He had cancer, it went away and came back. He was going to die, but in his mind, he went out the way he wanted to. One of the most powerful scenes of the episode was when Walt was watching his son come home from school from a hiding spot near the house. It was clear at that point he had major regrets about his actions, and how they destroyed his relationship with Walt Jr. Then again, in the final scene, we see how much Walt valued the legacy he built and left behind. A great show, and a pretty good ending. It’s been fun Breaking Bad….you will be missed! This entry was posted in Morning Coffee on October 1, 2013 by omzzzzz.